After being a business owner for nearly 25 years, Phyllis Balagna was awarded 2011 Volunteer of the Year and Small Business of the Year by her local chamber of commerce. 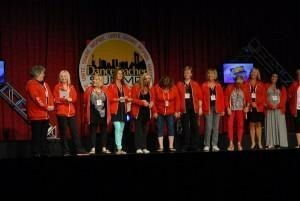 She spoke at the 2012 Dance Teacher Summit about studio branding and community involvement. Dance Teacher: What do you see as the greatest challenge when it comes to promoting one’s business? 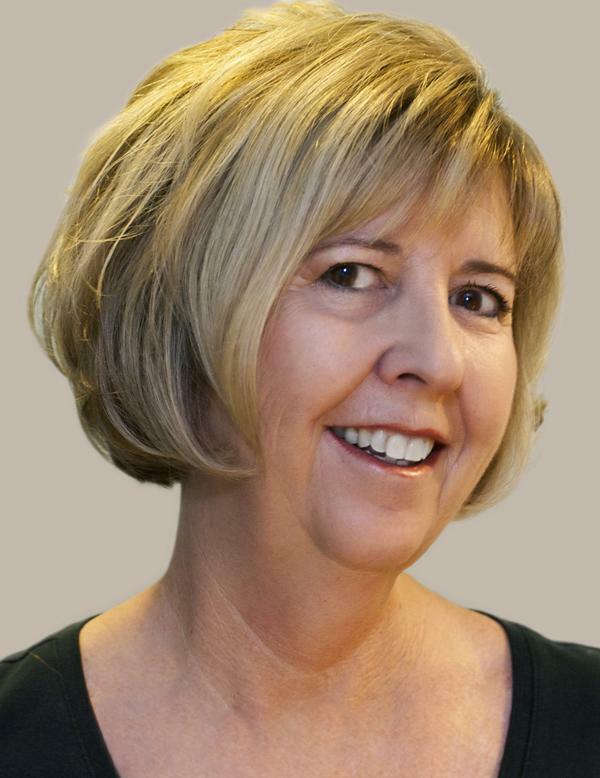 Phyllis Balagna: There’s a tendency for studio owners to get kind of stuck in their own zone. We go to the studio and then home to work on costumes, then turn around and go back to the studio. Visibility is a key part of advertising, and the only way to achieve it is to get out there. We can be our own worst enemies when it comes to word-of-mouth advertising because we’re not active in our communities. Some owners may heavily promote their studio when they first open, but the longer you’re in business, the harder you have to work to keep your name in people’s minds. DT: What can business owners do to make their studio a household name? PB: I’ve spent a lot of money advertising, but I’ve discovered that word of mouth can be just as effective—neighbors talking to neighbors, people talking in church or in schools. Remember, everybody knows somebody who has kids! You need to get out in the community and get involved in something. I am about as involved as a person can get, I think. 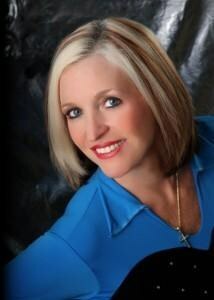 I serve on the school board, I’ve been a board member for the chamber of commerce and I work with the Rotary club. I know I’m on the far end of the spectrum, but even if you just join one committee, like with your school district, a business roundtable or a citizen’s advisory committee, those are usually just one meeting a month. The time commitment is minimal but the kickback is enormous. 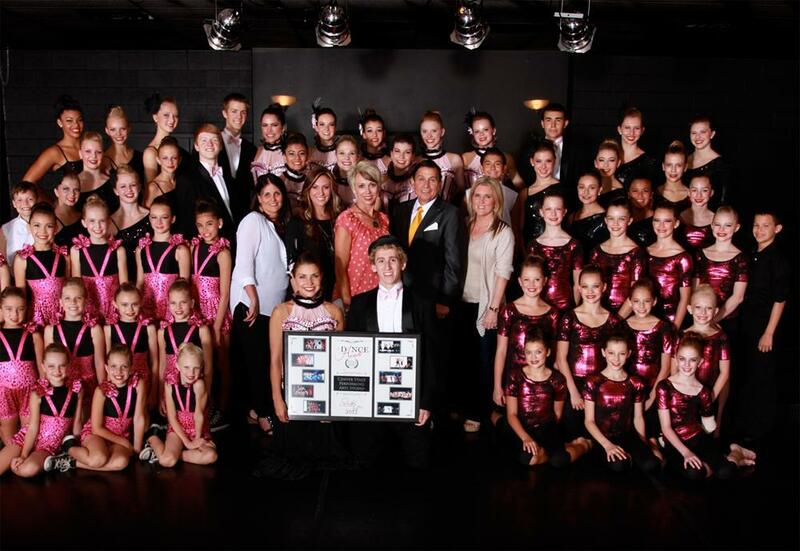 Currently in her 25th year of business, Utah’s Kim DelGrosso was featured in our April 2012 cover story, “Where Ballet Meets Ballroom.” Her successful crossover studio was honored as Studio of the Year at the 2012 Dance Awards. Last summer at the Dance Teacher Summit, DelGrosso spoke about how studio owners can generate alternative income for their business. Dance Teacher: Studio owners often need to look beyond tuition and costume purchases to support their businesses. What are the most unique ways you’ve found to bring in additional revenue to your studio? Kim DelGrosso: We’ve had a creative year! 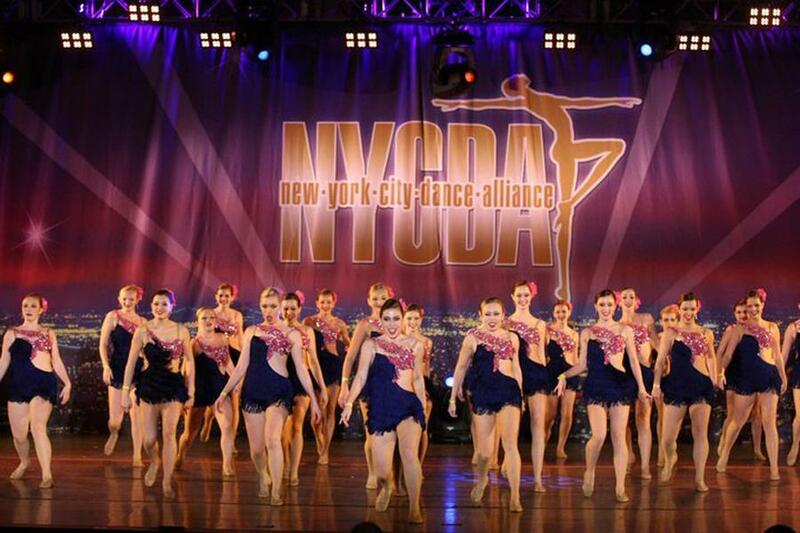 Of course we rent to different dance groups in the area, but there are so many more ways you can be making money. I have a performing arts preschool and kindergarten that rent from me and a bunch of boutiques that set up in our studios. We’ve rented to colleges, we’ve had fencing classes here—any type of meeting or class that needs a big room, we try to get them to come to us. I make sure everyone in town knows my studio’s available for auditions—Disney has held a few auditions here. We also bought some good-quality chairs that people can set up for meetings, and it’s proven to be a good investment. DT: Sounds like you’re open to anything! How can a studio owner who’s never done anything like this get started? KD: Yes, everything is game! And a large part of it is just doing the work to let people know you’re there. For example, when I opened my first studio, I literally went through the white pages and called every person in town, telling them I was starting a studio and I’d love for them to come. Because of that, we opened with 450 students. If you make yourself known, they will come to you. Call local businesses, go to your chamber of commerce, participate in charities, build good relationships with your town’s newspapers. And don’t forget to use your studio parents for their resources and connections. Networking is where it’s at! Danie Beck speaking at the 2012 Dance Teacher Summit; below: Dance Unlimited competition students in performance. 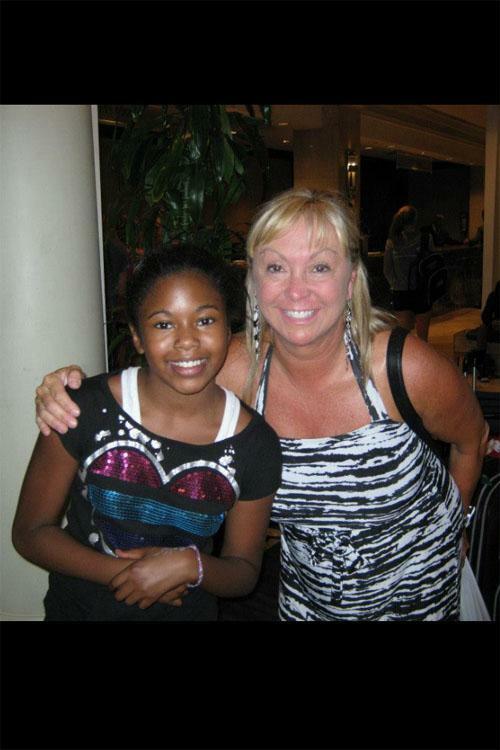 As owner of Dance Unlimited for over 40 years, Danie Beck has seen her students go on to study dance in college and perform in national Broadway touring companies. 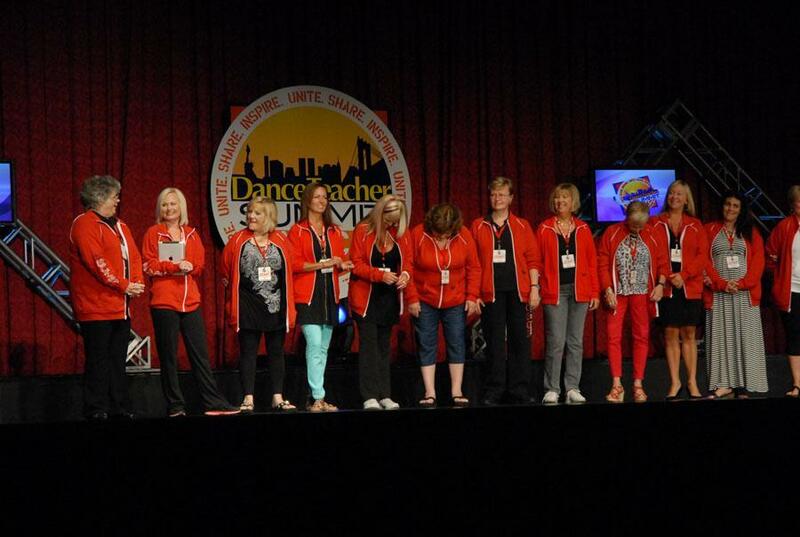 A Dance Teacher Summit ambassador for three years, Beck has recently sold Dance Unlimited to a former student. Dance Teacher: Over the years, you’ve had as many as 500 students performing in just one yearly recital weekend. How do you organize ticketing for such a high-volume event? Danie Beck: For many years we went through the “waiting in line at 4 am with a lawn chair” routine, so by the time the parents got into the studio, they were so aggravated it was like dealing with a tiger! And when they got to the auditorium for the show, the grandmother would be saving six seats with a sweater, a purse and an umbrella and people got annoyed. Something had to change. I couldn’t go through this horrific mob scene every year, so we started a lottery for requesting tickets. There’s an open period of about a week when parents can come in, draw lottery numbers and fill out ticket request forms for each show. At first the office would be mobbed on the first day, but people have learned it really is strictly luck of the draw, and it doesn’t matter when they come. They have an equal chance of getting the seats they want whether they arrive on the first hour of the first day, or right at the end. DT: How do you assign tickets once you have the ticket request forms? DB: I do it. I can do about one show an evening, going through the ticket forms, filling each request the best I can, starting with the lowest lottery number. It works well, it’s organized and everyone is polite about it. They understand it’s luck of the draw. One year you might draw number 9; the next year you might draw 99. I also use the lottery to encourage early registration. If you register early, before April, you draw from a lottery bag of 1–50 instead of 1–100. So it’s useful as an in-house tool for registration, as well. DT: Did you get a lot of pushback from parents when you made that change? A dancer since age 2, Robin Dawn Ryan began competing before her 8th birthday and spent much of her adolescence logging additional training in circus arts. This DT Summit ambassador has been a successful studio owner since 1975. Dance Teacher: How have your circus and tumbling skills come in handy at your studio? Robin Dawn Ryan: I teach trapeze, hoop and web, and we perform those skills in my annual recital. It’s definitely a plus that my students can have this on their resumés. One of my girls was hired to dance on a cruise ship, and when they asked her to train on the hoop, she already knew how to do it, so they promoted her right away. I’ve also had students who got into Cirque du Soleil as dancers. It’s just another element of talent to add to their package. DT: You’ve spoken at the Dance Teacher Summit about the challenges of running a studio while having a family. What is the hardest part of your triple role as a studio owner, mother and wife? RDR: Being a business owner is easy compared to being a good mom and wife. Being there for your family is defintiely the hard part. 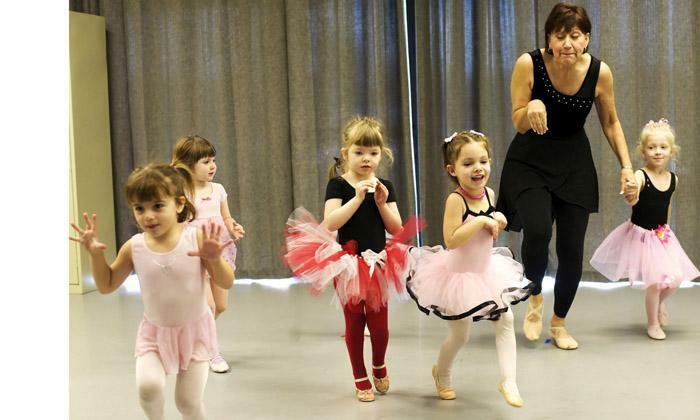 Dance teachers spend more time raising other people’s children than their own, which few people understand. You have to make so many hard choices, like when your students have a competition but your son has a baseball game. DT: What’s your advice to new studio owners who want to be able to do it all? RDR: I opened my studio at age 18, and it’s especially hard with young studio owners, because they’re so enthusiastic. They want to do everything with their students and be with them all the time. Then you start a family and suddenly it’s not just about you anymore. Make sure you have someone at the studio who can cover you, and let your employees know that your family comes first. Sometimes my husband still has to remind me that I’m the boss, and if I can’t be with my students because of a family commitment, that’s OK! You don’t need to feel guilty for putting family first. Dance Teacher: What is the biggest piece of advice you have for other business owners? Carole Royal: For the first years of my business, I really just bobbed along, hoping for good circumstances without a real plan. I had a vast dance background, but trying to learn the business aspects of running my studio was hard. Setting concrete goals turned everything around for my business and my dancers. 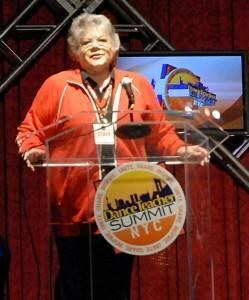 I gave a seminar on goal setting at the Summit, just like I give to my teachers every year. I even have my students write out their goals at the beginning of each year. DT: What kind of things do the students write down? CR: Some will say that they want to get their left split or a solid triple turn. 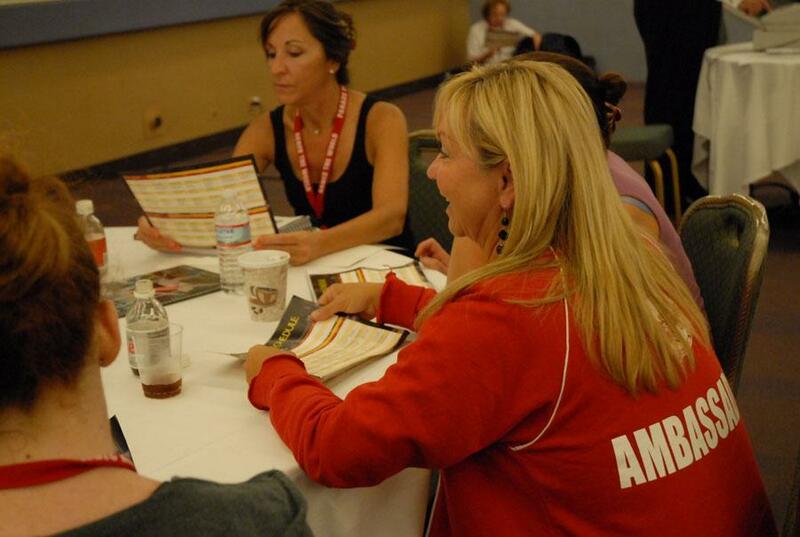 Some will say that they want to receive a scholarship at a particular convention. If students really focus on what they want to accomplish, it brings them closer to it. It’s fun to go back and look at the goals that dancers have written, and what they’re doing now. One of our dancers mentioned that she wanted to dance with a star. She just toured with Lady Gaga!